I realized that I was wearing a vintage iron-on Elton John tee shirt. It was the mid-1970’s, so actually it wasn’t vintage at the time. It was brand new. 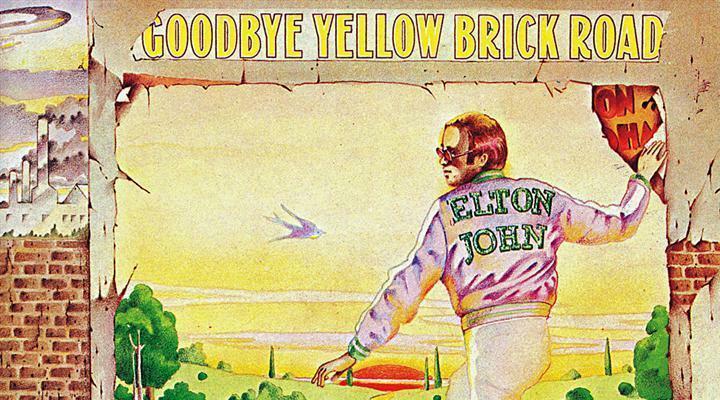 On my shirt was the cover art from Goodbye Yellow Brick Road and Elton was standing at his piano. The type clearly read Elton John. "I thought Kenny Rogers and Dolly Pardon sang that." "That's "Islands in the stream." “Oh, right, well, I've never heard of Eaton,” Grandma Jenny said as she continued making breakfast. I couldn’t believe that my Grandma didn’t know who Elton John was. God, I couldn’t wait ‘til I was old enough to drive so I wouldn’t have to hang out with these people who only listened to country music. Island girl, like I want you in this island world. Tell me what you want and witchy why mans whirl. Island girl, what are you wantin’ with the white man’s world? Island girl, black boy wants you in his island world. Tell me what you’re wanting with the white man’s world? What we have learned from the "product line" case is mkaert is mkaert. We cannot control the mkaert, but only follow the mkaert. Market is always changing, out of our thought. So what we should do is to prepare for the various mkaert situations.周身刀要張張利 而且要隨時利 Otherwise we will lose our competitive edge. Who ever wrote thi blog is 100% wrong That person has no right for that last hateful sentence. The person who this blog is very stupid.